One of the best ways to teach children is through the use of games and activities, something interactive that they will have fun participating in. I recently enlisted the help of my daughters Eve and Eden to try and come up with some self esteem games for kids. My kids love to do word searches, they enjoy not only completing them but also creating their own. So as we were thinking of self esteem games we could create, we came up with the brilliant idea of creating a self esteem word search. We then took these words and used an online word search creator to create our own self esteem word search. You can see the end product below. You can complete our word search online using this link Alternatively you can download it. If you have never created a word search before, they are really easy. There are free online word search creators you can use. My kids like using the one on abcya.com but there are others like the one on thewordsearch.com which we used for the one in the example above. First get the kids to create a list of positive words that describe them. They can use the Positive Words that Describe Me worksheet to compile this list. Afterwards, they can use one of the online tools to create the word search and have fun playing the game with their friends either online or offline. 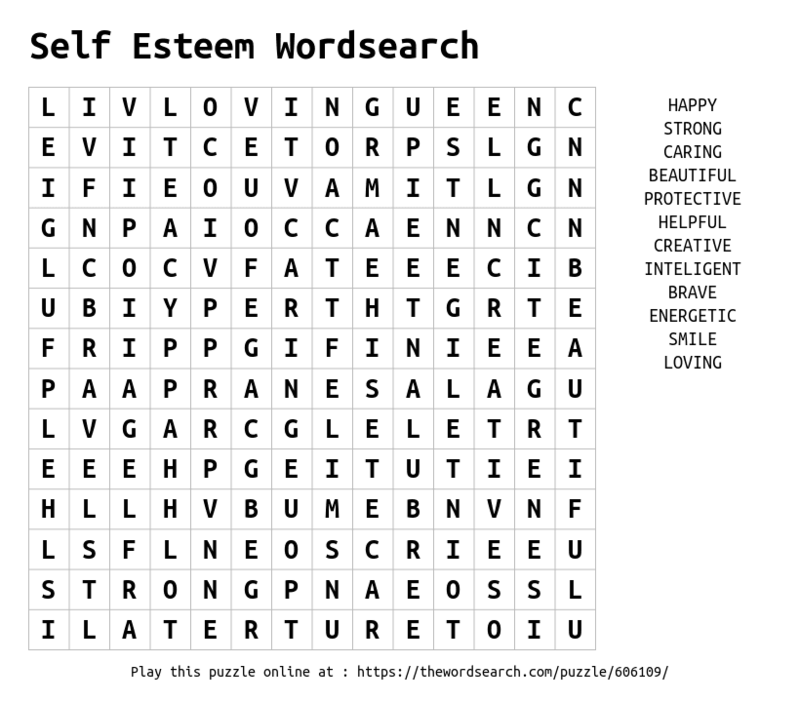 Feel free to use our word search as part of your self esteem games for kids collection. Let me know how you get along creating your own, I would love to hear your stories!